In most ways an artist’s creation is an interpretation of life as they see it or as they interpret it. And we as viewers or possibly voyeurs are provided an opportunity to see life through another’s eyes. Is it that we who view are not talented or gifted ? I say ‘no’ to that. We each have our own giftings but we are also what all artists require no matter what field they may specialize in. We are those who appreciate. Whether impressionist, realist, cubist, or old master – all artists need those who appreciate the works they produce. But, we as those who appreciate art – look on art as it intersects with real life – our own lives. We are intrigued by art that reflects our own history, our present, our past, our places, our memories, our hopes and dreams. Images of real life which may be part of our history are especially appreciated. We wonder whether our fore-bearers might have experienced the same situations that we see in the images. 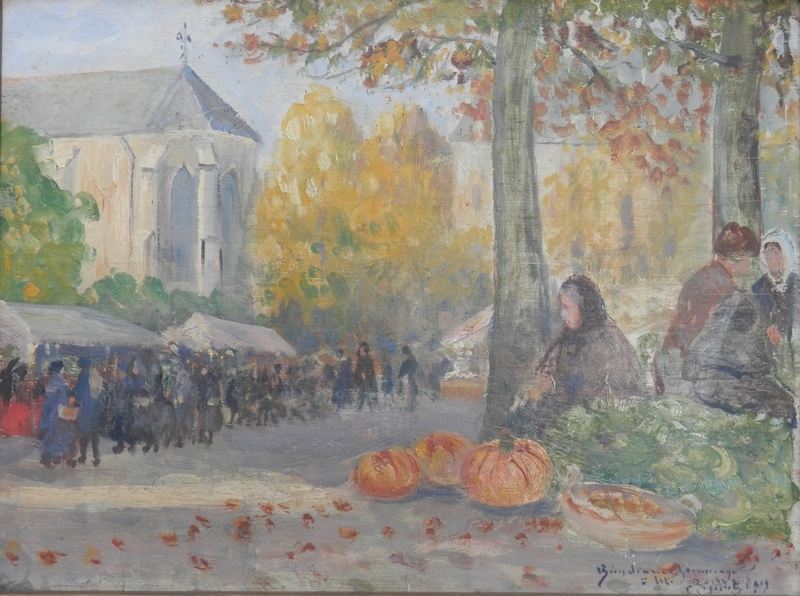 Both the oil painting which I have called ‘ The Pumpkin Seller’ and the watercolour ‘market scene’ are events which my fore-bears might have experienced. Both scenes are European – the first being German?/French? and the second Dutch. Markets were and are regular occurrences for most towns and villages across Europe. They have been and are inspirational to artists. Certainly, the two artists have captured a moment in time, in history, in life – possibly our own histories. True to life, wonderfully portrayed in oil and watercolour . Impressionist or realist – it matters not. It matters only that their creation can reach out and touch us – move us – make us experience life as it is or was. Art as mirror/reflection of reality – of true life. Art as life – a part of our own lives. 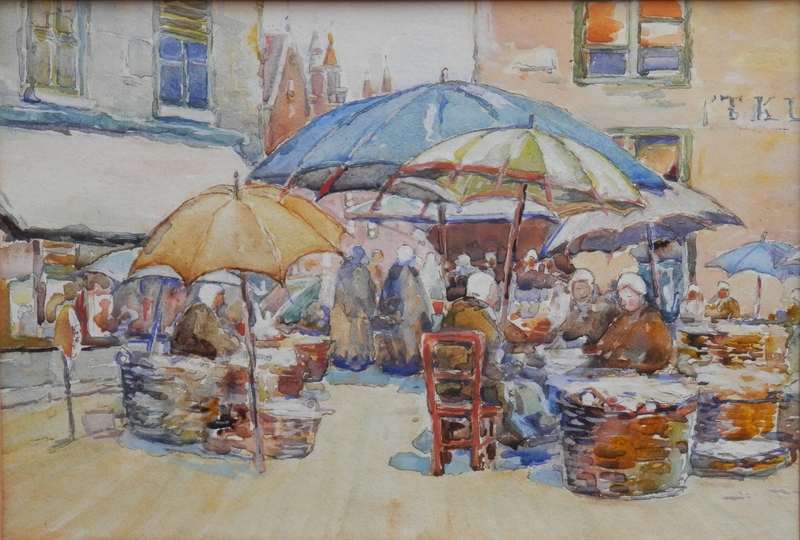 This entry was posted in Oil Paintings, Watercolour paintings and tagged Dutch, market, pumpkin, umbrella. Bookmark the permalink.